Note: It is not allowed to change or delete datasource created through Mobile Data Collection Portal. Open mdc.giscloud.com and log in with your credentials or sign up. Click Create new project button. This option opens an empty form for defining a new project. Define the project name, field details and define columns which will be populated with data in the field. Download Mobile Data Collection app to your Android or iOS device. 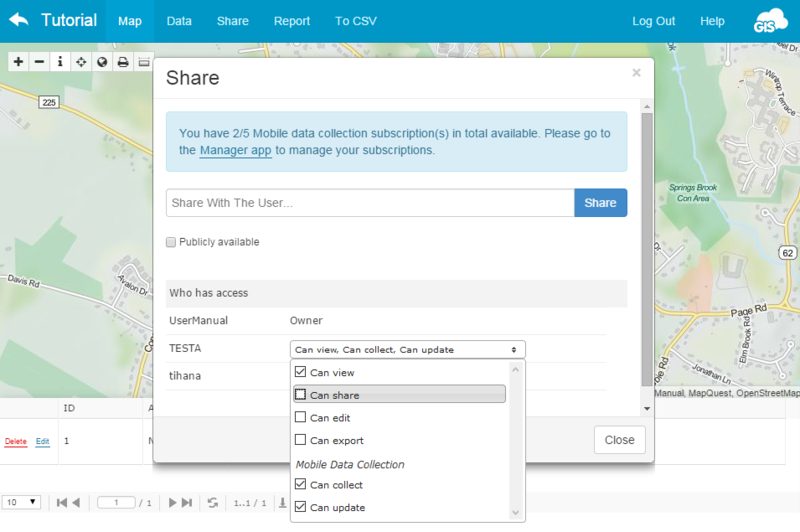 Log in Mobile Data Collection app on your mobile device, select a project you have created and start collecting. Once created, the project can be shared with other users. When all MDC licenses are assigned to the project owner, open Share dialog. Enter username – type in the username of the person who you want to share your project with. You can create a new user as a part of your organization in Manager app. Add – click to add username to the list. Choose View, Share, Edit, Export, Collect and/or Update privileges from the drop down menu by the username. If you can’t assign Collect and/or Update privileges, that means that you don’t have assigned MDC licenses. Click here for more info. If you have a big number of collectors in your organization, creating projects with a similar or same form can be time-consuming. Use Duplicate form tool that duplicates all options including dependencies from the previous form. Duplicated form will contain all the fields and logics applied in original form, but it will not allow access to any data collected with that form. It is especially helpful when you have long and complex forms with a large number of fields and conditional logic applied (dependencies). It is also very useful when you want to share a form with groups of field collectors and you want each group to have a modified copy of the original form. 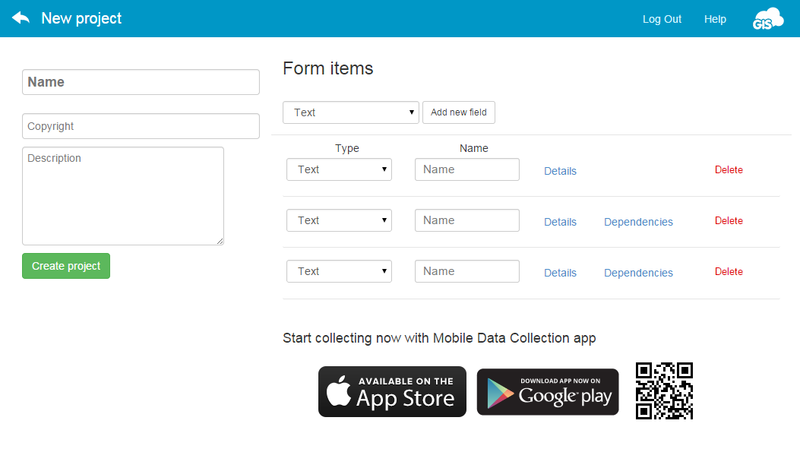 Open the list of projects in Mobile Data Collection Portal app. Click Duplicate Form next to the project name. You can duplicate a project that you have created and shared project as well. Modify and review the form settings. Add Project name and click Create project button.